Antique Stoneware Pot with its Original Lid. 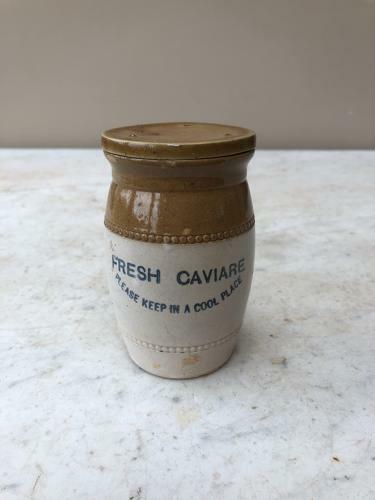 FRESH CAVIARE. PLEASE KEEP IN A COOL PLACE.